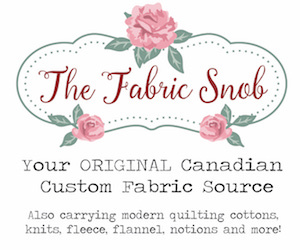 Finding Canadian companies that sell fabric online can be tough. True, you can always shop at one of the US online shops, but it’s just not as easy. Some don’t ship to Canada. Sometimes the shipping prices are outrageous. Even when the shop sends out the fabric the same day, it can be stalled at customs for ages. Then there is the exchange rate to contend with. I’m much happier supporting a Canadian business, knowing that my order will arrive quickly, and knowing exactly how much it will cost me. Here is a list of Canadian companies that sell quilting or apparel fabric, patterns, and notions. I haven’t tried them all, so I can’t vouch for them. If you know of any others, or have had a good experience with any, please leave a comment or get in touch. This list was last updated on December 8, 2018. Shops are generally listed geographically from east to west. These online shops have predominantly quilting cottons in modern prints and solids. Studio 39 Fabrics – ??? These online shops have primarily quilting cottons in traditional prints. These online shops stock various fabrics intended for apparel. These online shops stock specialty fabrics, mostly for apparel sewing. These online shops sell their own patterns for apparel sewing. These online shops sell their own patterns for handbags, wallets, clutches, etc. These online shops sell their own patterns for toys, stuffed animals, etc. These online shops sell their own patterns for quilts. These online shops sell notions or patterns, primarily for apparel sewing. These online shops sell quilting notions or patterns. The Secret Workshop – ??? These online shops sell supplies for making bags. These online shops sell supplies for making dolls. A list of longarm quilters, organizedby province. A list of companies offering pattern grading services for apparel sewing patterns. 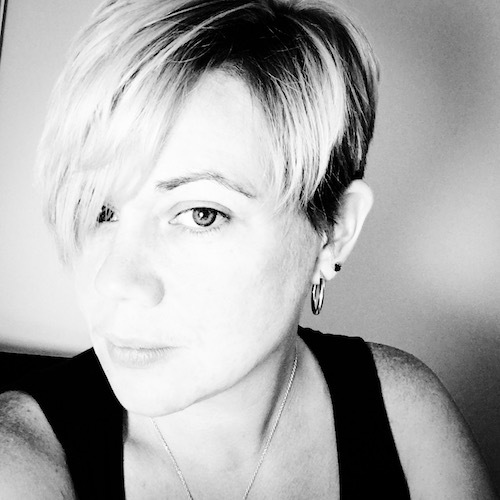 Canadian online sewing and quilting communities. Is your business missing? 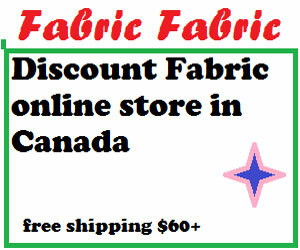 If you are located in Canada, and sell fabric, notions or patterns online get in touch. Thanks! BurdaStyle has just published a collection of 11 patterns in a style they call “Fifties Revival”. There are two cute suits, some dresses and a trench coat. And then a cape. I especially like the concealed buttons. And I love the length. It’s long enough to keep you warm, but not so long that you can’t wear it with casual clothes like jeans. I even like the fabric choice. It looks like wool bouclé, which always seems to end up in Chanel jackets and nothing else. Overall, I think this looks like a really great pattern. But I’m hesitant. Do I need a cape? I haven’t seen many around. Of course here in Montreal it is currently far to cold to wear capes. Maybe they will start popping up in spring? Maybe I should stick with a coat? I was also incredible inspired by Renee of Miss Celie’s Pants and her beautiful purple cape, which you can see on her website. 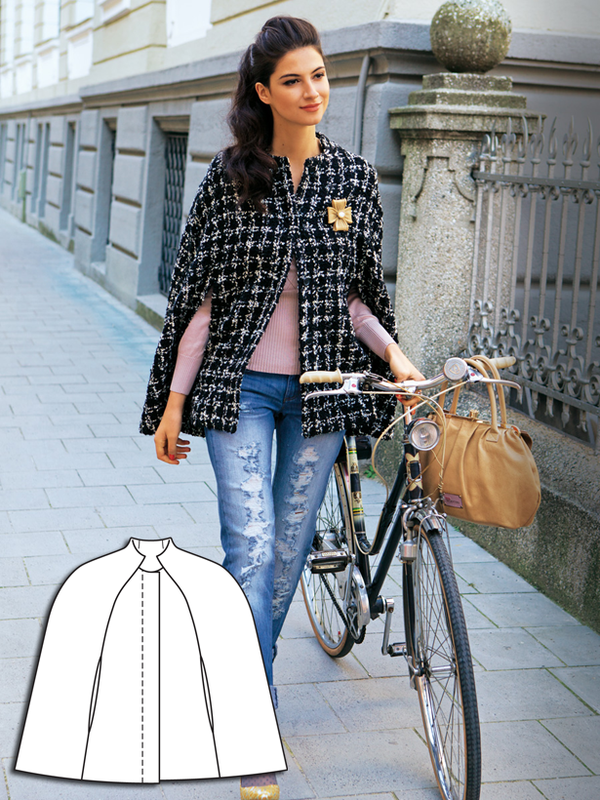 She used the Vogue 8776 cape pattern. What do you think? Capes. Yea or nay? Author Shannon SmithPosted on February 8, 2013 March 1, 2013 Categories UncategorizedTags BurdaStyle, Cape, Patterns7 Comments on Capes. Yea or Nay?